Yayyyyy!!!! It’s Froyo Pops time. Please excuse me for behaving like a kid but this sweltering heat is killing me and the mere sight of something cool is like a mirage. 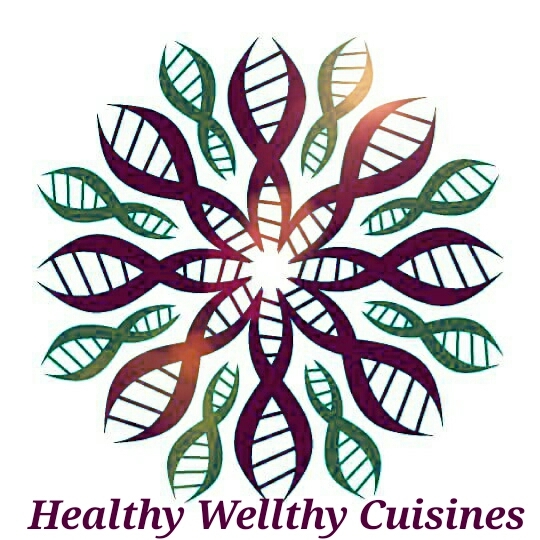 What more can you ask if I say that it’s super healthy and packed with Proteins and the goodness of fruits!!! 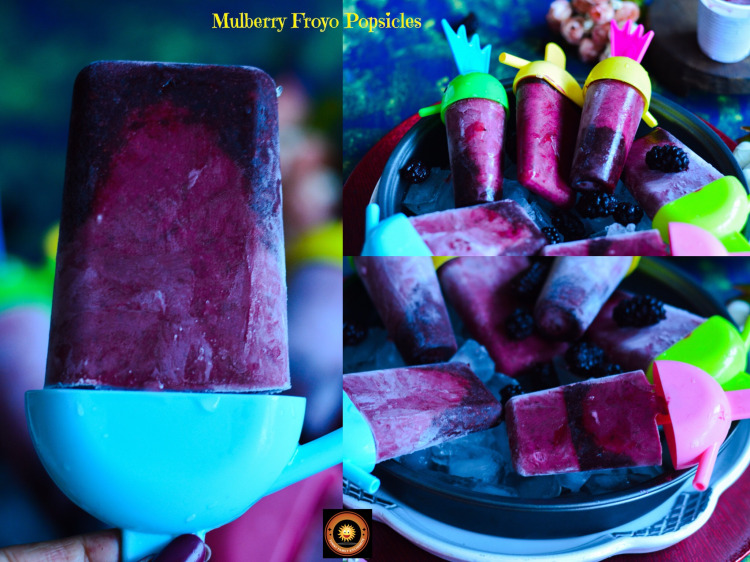 This particular post of mine is in continuation with my last post Mulberry Cooler. 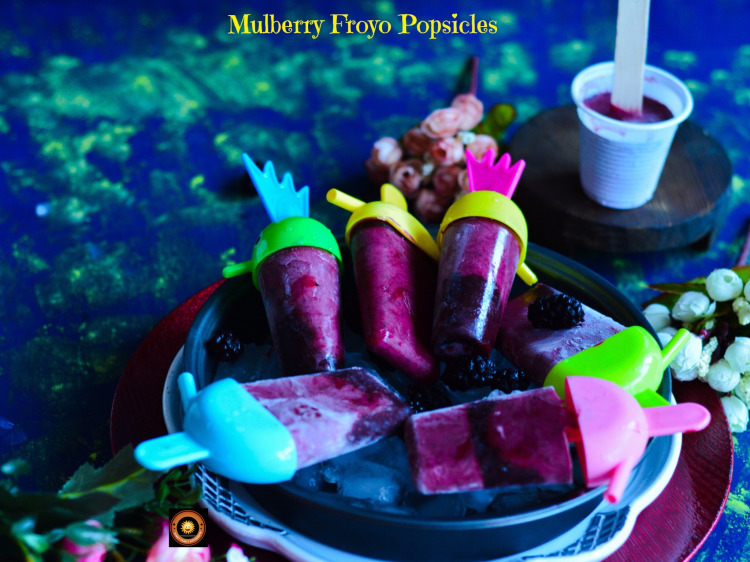 When you have loads of Mulberries in your fridge your brain gallops like a horse to make few interesting recipes. Apart from eating the mulberries with rock salt along with Netflixing, I managed to pull off these two super easy and delicious recipes. This is a very very simple recipe. Just blitz mulberries with the help of a blender, mix with some greek yogurt, some sweetener and tadaaa!!! There you go. Freeze it. And your super cool dessert, uh no popsicle, uh no froyo. Ahhhh! Forget it, what’s there in the name. 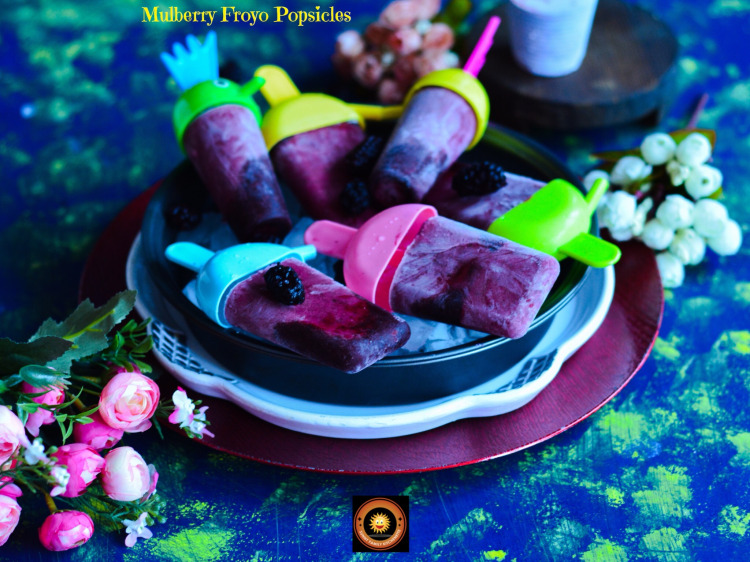 Head to your comfy recliner or chair, grab a book or watch tv along with these froyo popsicles and have a super cool day. In less than 5 minutes, you can make your own healthy & homemade popsicles with just the ingredients mentioned above! I chose fresh mulberries and greek yogurt here, but you can easily change it up by using any flavor yogurt or plain yogurt and berries you wish. I have used honey as sweetener but you can use maple syrup or even sugar too. This recipe is very forgiving. Just stir the ingredients together, pour into popsicle molds, and freeze. You can even make different flavors from the same batch by varying the add-in flavors for each popsicle. You can use your imagination with creating your own fun flavors as well. The sky is the limit when it comes to making yogurt pops. I guess involving your kids in making froyo pops will be a wonderful idea. This way they they will not only make their own favorite flavors but also have a fun filled afternoon. 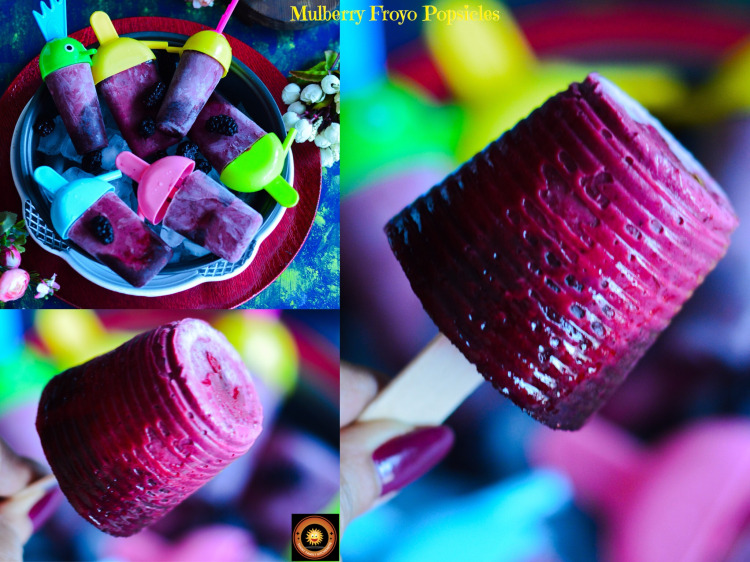 Homemade Mulberry Frozen Yogurt Popsicles – quick & easy to make, healthy, cool, creamy, delicious, & perfect for a hot summer’s day!! 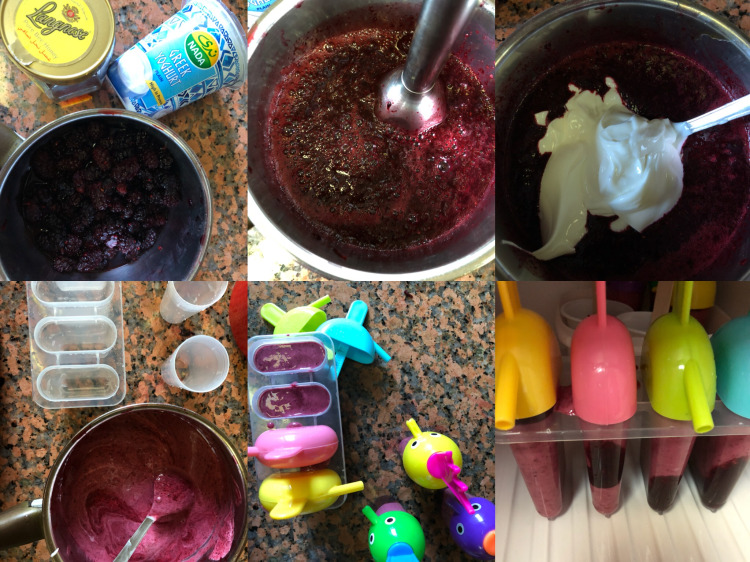 With the help of blender make a puree of mulberries. Stir together the yogurt, honey and mulberry puree. 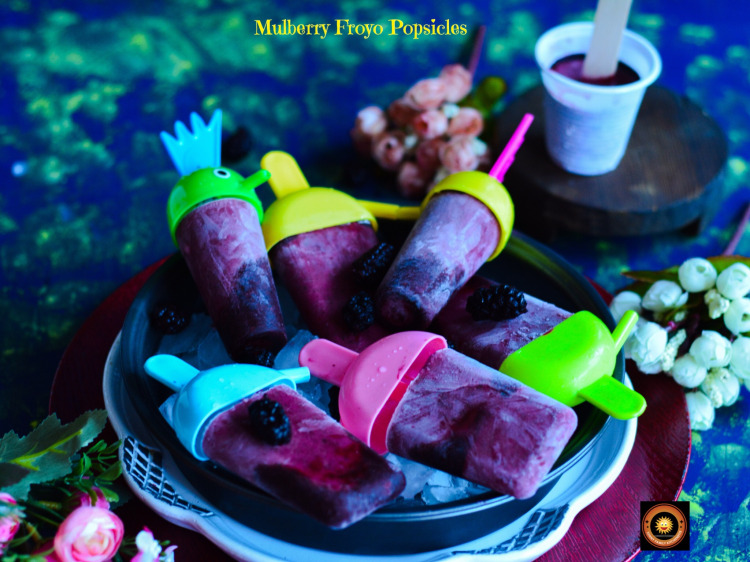 Fill popsicle molds with yogurt mixture, and freeze. Allow to freeze until firm, about 4 hours. To easily remove popsicles from their mold, remove from the freezer and run under hot water for a few seconds.